The theological forum is an avenue for the aspired theological students to discuss and examine various topics and contemporary issues in a theological perspective. The students are given opportunity to deliver theological presentations in the forum and discussions are held on it. The forum also initiates academic and socially committed programs and social actions. 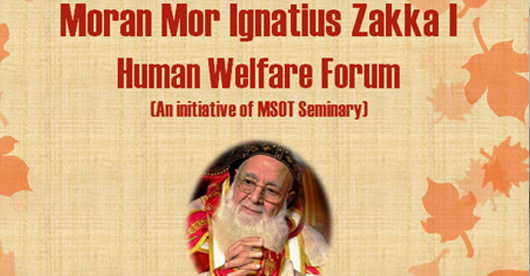 Moran Mor Ignatious Zakka I Human Welfare Forum is an initiative of Seminarians dedicated to the promotion of the well being of society. Its motto is "Not to be served, but to serve". Areas of initiatives: Hospital ministry, Jail ministry, Rural initiatives, Sanitation initiatives, medical camps, blood donation, etc.